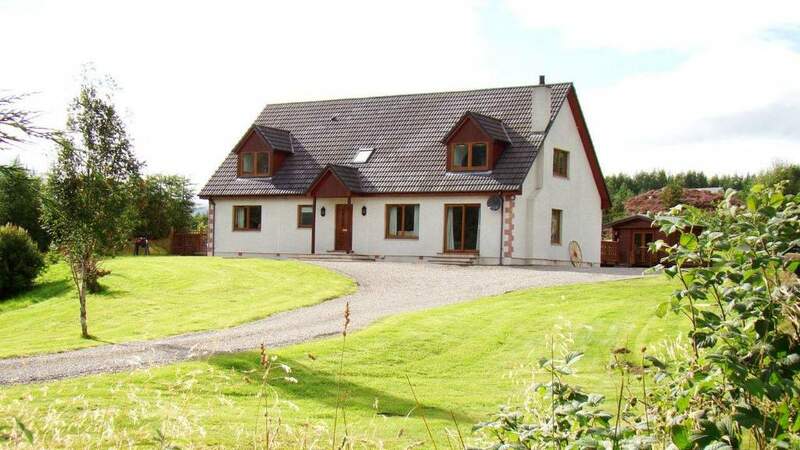 4 Star B&B situated in Glenmoriston in the Highlands of Scotland, near Loch Ness. Binnilidh Mhor B&B is in a super position in the Highlands, lying half way between Inverness and the Isle of Skye, just north of Fort Augustus and the famous Loch Ness. The area is famous for its amazing scenery and many outdoor pursuits. The house is set in its own grounds surrounded by open views and forests. The B&B is of modern construction and offers 2 large en-suite bedrooms with super kingsize beds on the ground floor, suitable for guests with mobility difficulties. Also available is a first floor extra large en-suite bedroom accommodating up to four guests with 1 king double bed & 2 single beds. A lounge area for guests has a roaring log fire for winter evenings. Breakfast is made of locally sourced ingredients and includes full Scottish and a continental option. Evening meals and packed lunches are available with prior notice.